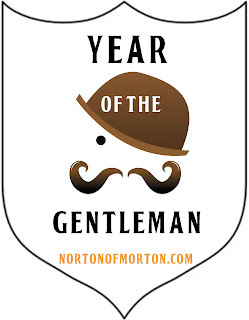 Norton got off to a good start with his gentlemanly crusade but has fallen by the wayside of late. It is an idea full of promise however, greater effort must be used to realise its potential. I would like to see him develop the theme a little more in depth. 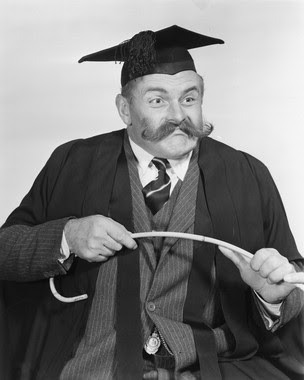 Norton plays the role of buffoon to an exemplary standard. His work is too brief, casual and untidily executed. If he demonstrated as much ability and dedication to his periodical as he does to drinking gin, he would be an outstanding student. Must try harder. Well, that was me told! I must say, I don’t completely agree with the man - my buffoonery could be greatly improved. 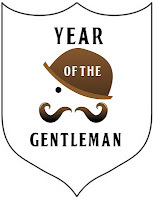 It has warmed my heart to find that fellow bloggers have very kindly added the free ‘Year of the Gentleman’ shield to their own esoteric webular sites. My intelligence officers have reported seeing it proudly displayed on Old Fashioned Susie, Eclectic Ephemera and The Street Where You Live. If you’ve spotted any more supporters, please do let me know so I can thank them. Although I think there is room for improvement, I have been really pleased with the backing from people who have read this little periodical. I hope my periodical postings have offered the tips, advice and encouragement that I promised. I was delighted to learn that men have actually gone out and acquired safety razors and pomade on my recommendation; an almost forgotten gentlemanly form of self-defence has been introduced to new and interested parties; I have demonstrated that gentlemanly attire can be assembled for next to nothing; and men such as Cary Grant and Sir Michael Caine have quite rightly been held up as style icons. 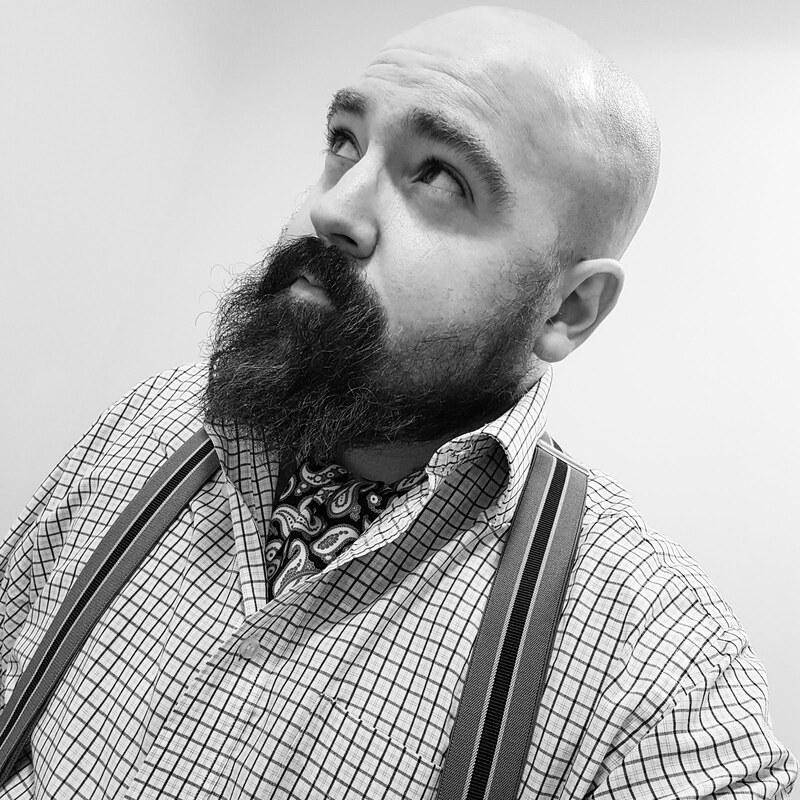 What’s more, my babblings have also graced the pages of Pretty Nostalgic magazine, allowing me to spread the Year of the Gentleman message to a wider audience. Look out for my latest gentleman's guide in the forthcoming edition titled 'The art of wooing a lady'. Here’s to the next six months! I do hope I can count on your support.